The Sanctuary is a luxury oceanfront resort and spa offering superior service, elegant and spacious guest rooms with spectacular ocean views and a luxurious, nature-based spa. Come experience the casual sophistication of this award winning resort. Luxurious Garden View accommodations - your spacious room (520 square feet!) includes a custom-made king bed, ergonomically designed and layered with luxurious Italian linens to provide an ultimate night's rest and comfort. We'll provide extra pillows for mom if needed! Buffet breakfast for two daily - Jasmine Porch offers an impressive buffet sure to satisfy all of your cravings. Couples massage - one 60 minute Maternity massage for the mom-to-be and one 60 minute Classic Custom or Sports massage for dad. This meticulously restored, boutique hotel is located in the heart of the historic district, overlooking the historic Charleston market area. Guests of the Andrew Pinckney Inn find horse drawn carriage tours, museums, art galleries, antique shops, along with world-renowned dining, just outside the front door. Be sure to take in the spectacular views from the hotel's rooftop terrace. Craving some beach time? Folly Beach, Kiawah, Isle of Palms, and Sullivan's Island are all in close proximity to the Andrew Pinckney Inn. The ultimate in elegance and refinement, Planters Inn is situated in historic Charleston and is recognized for both its luxury and impeccable service. The Inn's "Baby's on the Way" package offers relaxation and rejuvenation in a beautiful and romantic setting. 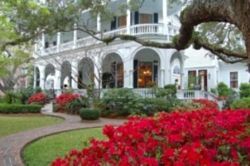 Nothing says romance like "Gone With the Wind"... and nothing says "Gone With the Wind" like this award winning AAA four diamond antebellum Inn in the heart of Beaufort's historic Landmark District. Oozing southern hospitality and charm, this Inn has played host to a slew of movie stars, including Tom Hanks, Gwyneth Paltrow and Sandra Bullock! Featured in the book "1000 Places to See Before You Die", this gorgeous Inn is conveniently situated just steps from the waterfront, with its variety of shops, restaurants and tours. The beautifully appointed accommodations are stylishly furnished, supremely comfortable and include flat screen TVs, private baths and luxury robes. 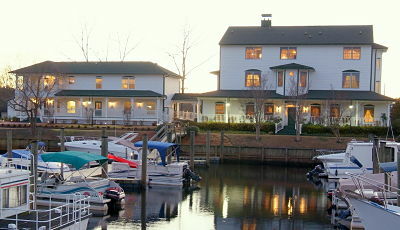 The Cypress Inn has a delightful location, overlooking the Waccamaw River in Conway. 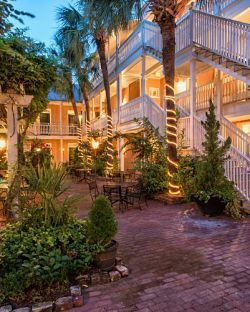 Member of the Select Registry of Distinguished Inns and named best B&B in the Grand Strand area by the Travel Channel, the inn offers both the relaxation of its porch, lined with Carolina rockers, and the nearby attractions of Myrtle Beach. The Innkeepers have a trio of pampering packages available, any one of which would make a wonderful babymoon. They would also be happy to customize a pampering package to suit your needs as expectant parents! 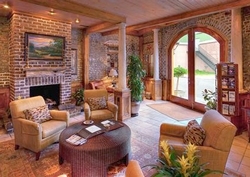 Two Meeting street Inn is a historic, elegant Charleston B&B located in the South of Broad neighborhood. A focus of both artists and photographers from around the world, it boasts attractive period architecture and stunning surroundings... not to mention, of course, good old southern hospitality! The scenery truly sets the stage for romance, with tree-lined streets leading to the graceful arches and distinctive turret of the Inn itself. The nine comfortable rooms are individually and beautifully decorated, with luxury toiletries and cotton bathrobes. Enjoy a sumptuous breakfast either in the dining room, on the courtyard, or on the veranda - or have it brought to your room if you prefer. Follow this with a leisurely day enjoying Charleston's many attractions, or simply relaxing on the porch. Then indulge in a delightful afternoon tea of sweets and savories from the iconic Charleston cookbooks. Spend your babymoon at the Elliott House Inn and enjoy Charleston from the heart of its historic district. This quaint and cozy hotel, shaded by old oak trees, has four tailored self walking tours beginning right at its doorstep, so it's easy and convenient to take in the sights! The Inn is also right next door to 82 Queen, one of Charleston's oldest and most popular restaurants, from whom you can order room service lunch and dinner should you require them. The Elliott House Inn's beautiful courtyard - surrounded by lush tropical plants, fountains and statues - offers the perfect spot to relax and watch the sun setting behind the church spires. 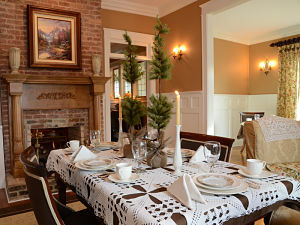 Located in downtown Greenville, within walking distance of historic Main Street, is the charming Park House Bed and Breakfast - a 100 year old home with gorgeous guestrooms, delicious breakfasts and unrivaled hospitality. Specializing in relaxing retreats, the Park House B and B gives you the perfect opportunity to unwind in comfort, whilst still enjoying easy access to local museums, parks and restaurants. Search our One-day South Carolina Babymoons for relaxing pregnancy massage and prenatal spa treatment options. South Carolina babymoons and Charleston resorts package features subject to change. Please verify features directly with the facility at the time of booking.